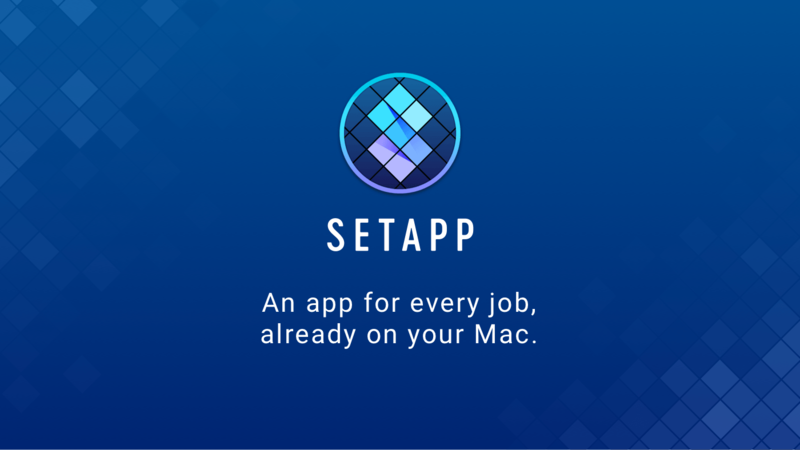 Setapp is a Mac app subscription service created by MacPaw, the maker of CleanMyMac X, Gemini II, and other great apps. For one low monthly fee, Setapp offers more than 100 of the very best Mac apps from big names like Ulysses, Bartender, iStat Menus, and iMazing. It’s a collection that is continually growing, becoming more and more valuable to subscribers all the time. Setapp is an app store done right. With over 100 apps in 10 categories to choose from, Setapp is the key to making you more productive on your Mac. You can pick from task managers and time tracking apps, text editors, photo editors, developer tools, and much more. Getting the apps you want to use is fast and simple too. When you sign up, Setapp installs a handy catalog on your Mac for browsing its offerings. The included apps are carefully vetted and curated, so you know that only the highest quality apps from the best developers are involved. Setapp is designed to make finding just the right app easy too with its powerful search for finding apps by task or keyword. The business model couldn’t be more clear either. There are no hidden costs or gimmicks. You pay just $9.99 per month for access to the entire catalog of apps including any updates. There are no fees for upgrades, no In-App Purchases, or other hidden costs. Every app is a fully functional version that updates automatically. Sign up today to unlock this fantastic collection of Mac apps. Setapp is free to try, and you can extend the trial period up to six months by referring friends.